Atmosphere of Grand Mediterranean Home Elevated by One-in-the-World Persian Bakshaish Camel Hair Runner. 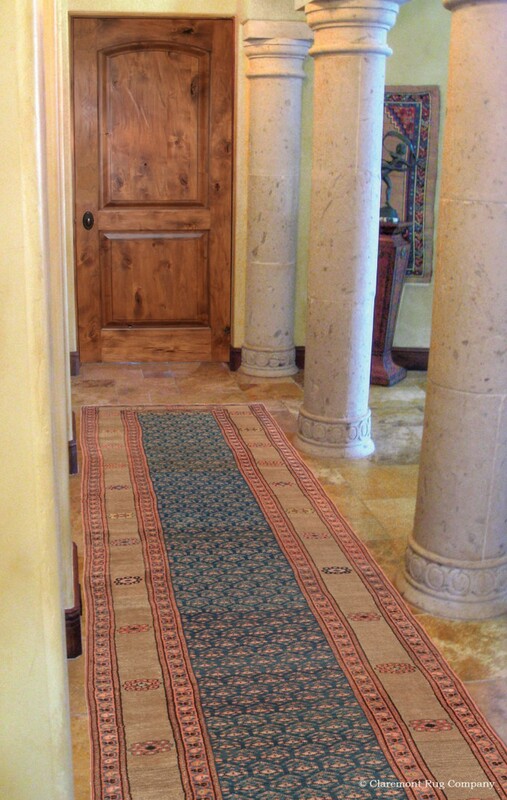 A rare Persian Bakshaish Camel Hair runner adds soft contrast along the grand expanse of stone flooring of this Mediterranean home in the Southwest U.S. desert. It is the consummate “opening act” for this large home replete with art and antique Oriental rugs. Don’t miss the rare Bakshaish camelhair mat hanging behind the stature to the near right.